Don is an inveterate traveler and award-winning travel writer. His most recent book is The Way of Wanderlust: The Best Travel Writing of Don George. Suddenly it’s April! Summer is fast approaching. For kids, that’s the time to kick back and savor long, school-free days. For parents, it’s the time to embark on one of the year’s scariest roller-coaster rides: planning a family vacation. A successful family vacation is as good as it gets. You can encounter new places and people with your children (and with your parents, too, if you’re lucky, on a multi-generational journey), away from the routines and roles of home. Such experiences make for lots of laughs, lessons, and the kinds of unexpected, unforgettable moments that bind you even when you’re apart years later. But family journeys aren’t easy, and they’re certainly not naturally successful. You have to work at them, and the work begins well before you roll your bags out the door. The surest way to minimize the hassle and maximize the memories is to work with a savvy travel planner to create a tailored vacation that’s just right for your family. Travel Designers (like the professionals at Off the Beaten Path) get to know the interests and needs of each family member, and can craft a private Custom Journey that will engage and delight everyone. Another option is to join a family-oriented Small Group Adventure. You just sign up and go—on a trip led by seasoned professionals, featuring road-tested, family-friendly itineraries and experiences. The best family group trips offer time for kids to engage with kids (and parents to engage with parents), and then time for families to re-group and share the day’s discoveries and delights. Some of my family’s most memorable journeys have been on organized tours. Whichever route you choose, a custom-planned trip or fully guided group adventure, here are five lessons from my own five decades of family travel, as a child and as a parent. I hope they help ensure your summer adventure is a blast and not a bust. You have to choose a destination that will maximize your chances for success. Take into account the weather, amenities, and activities your family likes. We’ve found traveling with our kids in Fiji, Australia, Mexico, and the Galapagos Islands of Ecuador to be especially easy. Other famously kid-friendly countries include Costa Rica, New Zealand, and Peru. 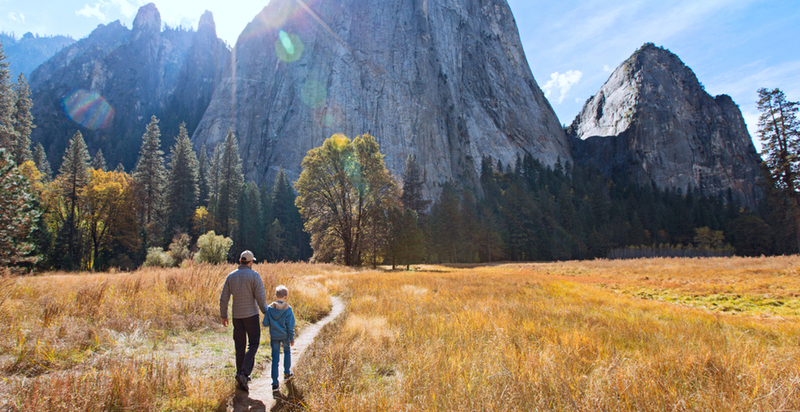 Of course, North America is family-friendly too—our plethora of national parks are perfect for family bonding, and we’ve had fantastic experiences in Yosemite, Grand Canyon, Zion, Arches, Bryce Canyon, and Canyonlands National Parks. Bottom line: Look for a place that holds opportunities—like hiking, canyoneering, or ziplining—to engage everyone. Be sure to include your children in the trip-planning, so they have a sense of ownership of the trip. If they’re older, it’s wonderful to involve them from the beginning of the process as you narrow your plans by country, region, and activity. Once you’ve settled on a destination, buy a map and pore over it with your kids; read brochures and guidebooks together and get them to talk about where they would like to go and why. If you’re venturing to a foreign country, buy a picture dictionary or phrasebook and practice saying simple phrases together. By the time you’ve finalized your itinerary, you’ve already begun the journey—with everyone feeling that they’re part of the plan, and feeling excited about what you’re going to experience together. You’ve already started building a bridge to a successful trip. If you can, introduce your kids to the local cuisine before you leave. If you’re going to Mexico or Peru, say, go to a local Mexican or Peruvian restaurant. Ask the server to describe the various culinary specialities and have everyone order something different so that you can sample as much as possible. Tell the owners and/or staff that you’re planning to visit their country; in many cases, they’ll offer kid-friendly suggestions about where to go and what to see and do—and they’ll be a first living connection for your kids to the people and customs of the region. In your planning and on the road, pay attention to the needs and pacings of your kids. Reward patience in a museum with an afternoon at the pool. Look for parks and perks: A swing-set in Sydney or an ice cream vendor in Cusco can suddenly make the whole city seem more familiar and fun. For older children, consider giving them an afternoon free and then reconvening for dinner. This will allow them—and you—a little decompression time and the chance to make individual adventures. It’s exciting to see them begin to gain confidence on their own in the world, and it’s illuminating and expanding to explore that world through their eyes and experiences. If you have younger travelers, bring a journal and glue sticks, and paste in the journal’s pages what your children collect along the way, from leaves and candy wrappers to maps and brochures. Have older kids pack a diary for drawings, maps, and travel tales; make time for them to write—even just a few sentences—every day. Encourage them to get creative. Teens may want to make videos they can show back home, or create an ongoing blog or photo portfolio of the trip en route. And you should be sure to keep your own record too—the years blur by all too fast, and these memories will grow more and more precious as time passes! In five decades of adventuring around the globe, my most memorable journeys have been with my family—first with my parents, then with my children, and then with my children and parents together. There’s a kind of multigenerational magic on these trips that creates unique and irreplaceable discoveries, joys, and memories for all. May that magic infuse your family’s adventures too! These ready-to-go OBP Custom Journey itineraries are a good fit for families as they are—or your planner would be more than happy to make adjustments based on your family’s interests and needs. For a Small Group Adventure is designed expressly for families with kids ages 6 and up, consider this fun exploration in the Southwest. For more information on these or any other Off the Beaten Path trips or travel styles, please call 1-800-445-2995 or contact us via email! Get our Wanderlist dispatch for travel suggestions, news on trip offerings, and other tidbits to help you plan your next adventure, off the beaten path. See where you can go with Off the Beaten Path! Request your free journeys catalog today.